Austin Commercial Roofing is your locally owned and insured Austin Texas area roofing company. We follow a detailed project flow on all roofing and exterior projects to ensure that when completed we will all be proud of your project and your neighbors and friends our future referrals. 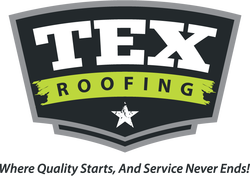 Austin Commercial Roofing works in Austin, Texas and surrounding areas including: Westlake, Lakeway, Round Rock, Cedar Park, Hyde Park, Travis Heights, Leander, Pflugerville, Dripping Springs, Buda, Kyle, Hyde Park, Travis Heights, Pflugerville, Georgetown, north, central and south Austin. Our experience in unmatched in Commercial Roofing, Residential Roofing, Roof Replacement, and Roof Repairs.